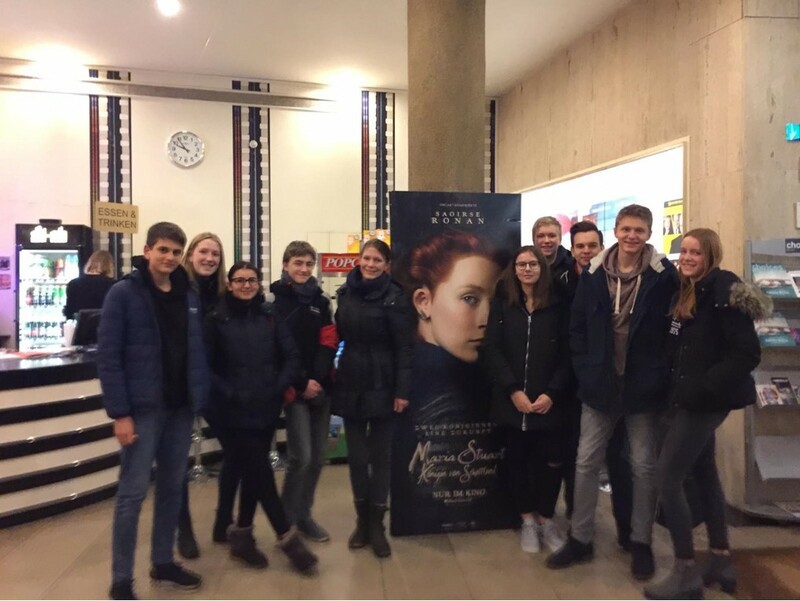 On the 28th of January the bilingual history class of Mrs Fritz visited the “Weisshaus Kino” in Sülz. We watched the movie “Mary Queen of Scots” due to the fact that one student of our class examines Mary Stuart’s personal background for a term paper. In the beginning, there were a few difficulties concerning our arrival at the cinema since our journey took longer than expected, but we managed to reach our target place on time. After we paid and ensured our creature comforts, we entered the cinema hall. The plot was very interesting. At the age of 18, Mary is widowed defying pressure to remarry. Instead, she returns to her native Scotland to reclaim her rightful throne. By birth, Mary has a rival claim to the throne of Elizabeth I but England and Scotland fall under the rule of Elizabeth I. The story continues, showing the different developments of both Mary’s and Elizabeth’s life. The movie is quite impressive and remarkable in illustrating the drawbacks and challenges as well as advantages of being a female regent in a masculine world. Therefore, we must express our explicit recommendation. It was a very pleasant and convivial evening and we are looking forward to our next activity.